For further information on how to improve the security of your WordPress site, please check out the following video: WordPress Brute Force Attacks And Plugin Protection A Botnet typically consists of a network of hijacked home computers, usually controlled by a criminal gang. Due to the complexity of the Botnet structure, it is extremely difficult to track the origins of the attack back to a specific source. Around 17% of the world's websites are powered by Wordpress, which makes this web design platform an ideal target for hackers using this type of Botnet structure to achieve major impact and reek havoc on a massive global scale. Getonfast have been established for over 10 years and are Website Promotion and internet marketing experts. We hope that you have found this blog post helpful and informative. As usual please feel free to comment. 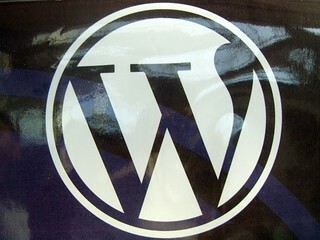 According to various recent reports, WordPress websites have been targeted by a major hacker attack. The WordPress sites have been attacked by a botnet consisting of thousands of individual computers since last week. Unfortunately, many WordPress users fail to change this default username setting, making them ideal targets and extremely vulnerable to this type of brute force hacking attack. There has been a recent wave of brute force attacks (hacking technique) on WordPress sites over the weekend (although this happens every day all over the world). WordPress sites in particular have been targeted in a recent string of intrusion attempts. There are some simple ways to make sure you are not the next victim. If a site asks you to login, then someone will try to hack it. WordPress is no exception. The good news is it’s really simple to make your site even more secure. WordPress, the foremost site which serves as the centre of the blogging world, and is home to more than 64 million blogs has been attacked in a widespread attack by cyber miscreants. The cyber criminals have used brute force attacks to target the blogging site by constructing a ten thousand computers strong botnet, which has got many people worried. The attacks have been going on since the last week when WordPress decided to up the level of security measures on their site.attack by cyber miscreants. The cyber criminals have used brute force attacks to target the blogging site by constructing a ten thousand computers strong botnet, which has got many people worried. The attacks have been going on since the last week when WordPress decided to up the level of security measures on their site. The attacks were spotted by CloudFlare and Hostgator, two web optimization firms who also specialize in cyber security and they concluded that the attacks had been on for some time now and that a massive botnet was being used to perpetrate the attacks. Moreover, the culprits are also attacking other similar sites such as Joomla. If you’re running a WordPress site, now would be a good time to ensure you are using very strong passwords and to make sure your username is not “admin.” According to reports from HostGator and CloudFlare, there is currently a significant attack being launched at WordPress blogs across the Internet. For the most part, this is a brute-force dictionary-based attack that aim to find the password for the ‘admin’ account that every WordPress site sets up by default. A Botnet typically consists of a network of hijacked home computers, usually controlled by a criminal gang. Due to the complexity of the Botnet structure, it is extremely difficult to track the origins of the attack back to a specific source. Around 17% of the world’s websites are powered by WordPress, which makes this web design platform an ideal target for hackers using this type of Botnet structure to achieve major impact and reek havoc on a massive global scale. Getonfast have been established for over 10 years and are Website Promotion and internet marketing experts. We hope that you have found this blog post helpful and informative. As usual please feel free to comment.